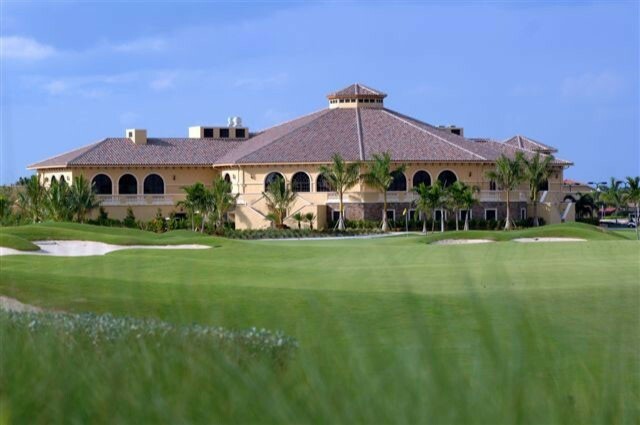 Located four miles east of I-75 just off of Immokalee on 674 acres, Heritage Bay is one of North Naples’ newest guard gated bundled golf community. 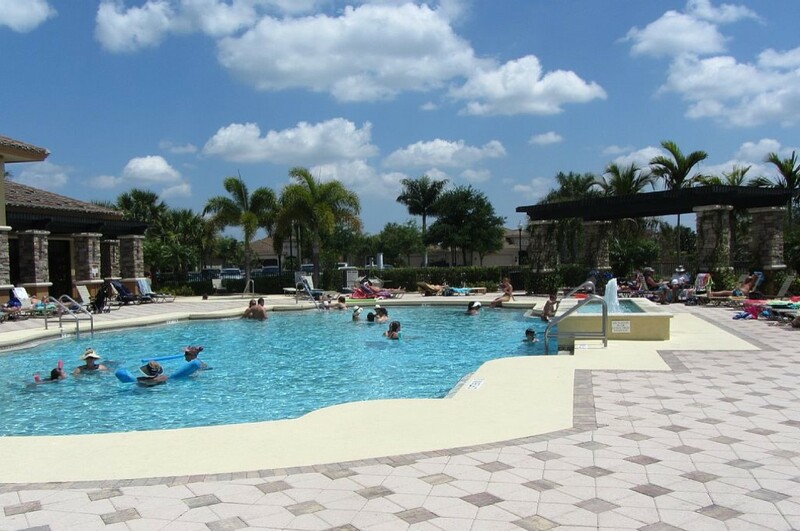 Here you 1200 find condos, verandas, coach homes and single family homes nestled among nature preserves, quarry filled lakes and championship 27 hole golf course, many with spectacular lake, preserve and golf course views. The condos range from 1,194 to 1,408 square feet with two to two bedrooms plus a den and a one car carport. The verandas range from 1,414 to 1,661 square feet with two bedrooms plus a den and a one car detached garage. The coach homes range from 1,183 to 2,079 square feet with three to three bedrooms plus a den and a two car attached garage. The single family homes range from 1,828 to 2,926 square feet with two plus a den to five bedrooms and a two or three car garage. The championship golf course was designed by Gordon Lewis and Paul Azinger and features five sets of tees and plays to 7,200 yards from the back. The wide rolling fairways and undulating tiff eagle greens provide a true test for golfers of all levels and require precision iron play to put the ball in the proper position. 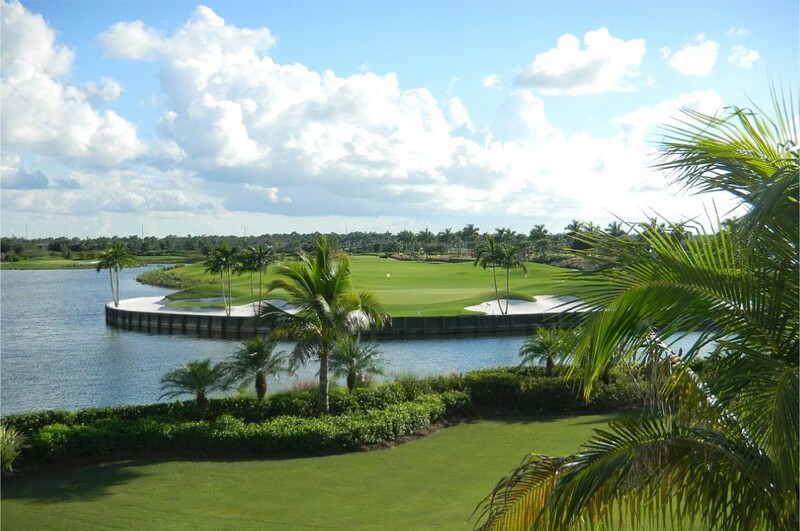 The course offers a beautiful aqua range, two practice greens and GPS equipped golf carts. At the heart of the community will be the two story 27,000 square foot Clubhouse featuring spectacular lake views, indoor and outdoor dining, billiard and card rooms, men´s and ladies’ locker rooms, a fully stocked golf pro shop, resort style pool and tiki bar. There will also be an 8,000 square foot fitness center with state of the art equipment, aerobics studio, salon, massage parlors and six lighted Har-Tru tennis courts with grandstand seating and a tennis pro shop. 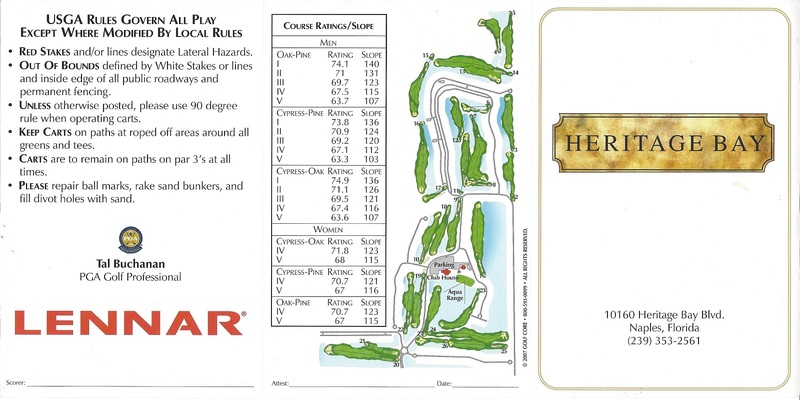 If you are looking for an upscale bundled golf community with a true championship golf course, then you will definitely want to consider Heritage Bay!